Bring the rustic elegance of this Old Hickory mirror to your home. The Wagon Wheel Mirror has the warmth and character that will complement your cabin decor and the timeless look that rustic hickory furniture is known for. Beautifully handcrafted from sturdy Hickory saplings, mortise-and-tenon joinery holds the wagon wheel design at the top in place and reveals a look of quality that is seldom seen in today's furnishings. A timeless and elegant design, the Wagon Wheel Mirror will never go out of style. Made in the USA. It is offered in vertical or horizontal styles. 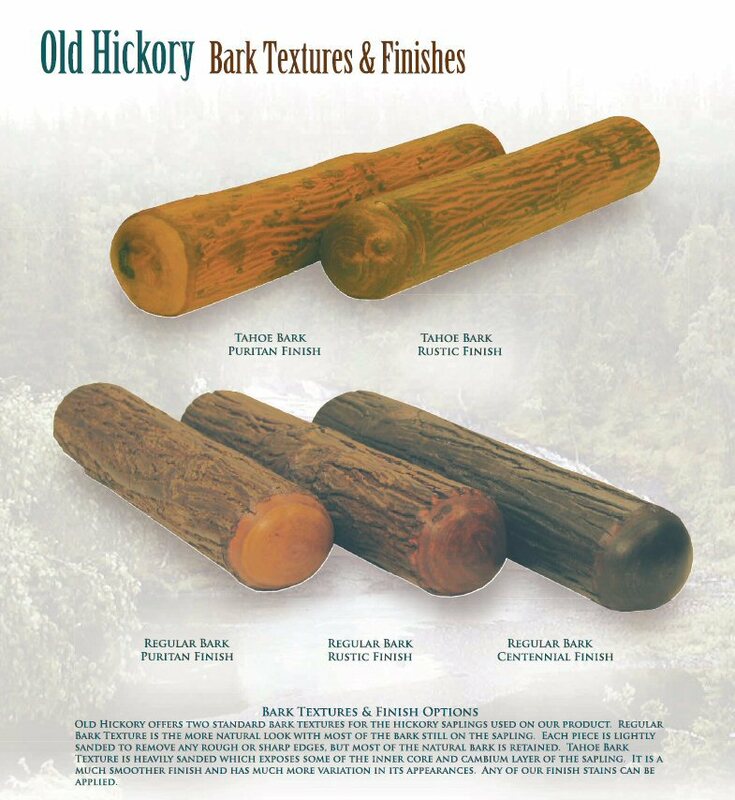 Available in several different bark textures and finishes. Shipping: This item is shipped directly from the manufacturer, and made specifically for you. Due to its hand crafted nature please allow 6 weeks.